Movers that you can trust are not always easy to come by. 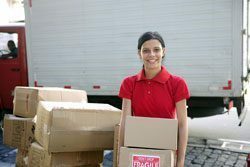 Many movers hire individuals based solely on brawn, without taking into account whether or not they are trustworthy or skilled enough for the job. However, when you turn to Bulldog Movers, you can rest assured this will not be the case. For more than three decades, we have developed a stellar reputation as a mover that residents of Eagles Landing, Georgia, can trust. We only hire movers who have passed an extensive screening process, have acquired years of experience working in the industry, and are friendly and knowledgeable. This way, we can ensure that we have the best possible moving team help you with your project. But, don’t just take our word for it – we have an A+ rating with the Better Business Bureau and have won the Consumers’ Choice Award for nine years in a row. If you need moving services in the Eagles Landing, GA, area, turn to the trustworthy professionals at Bulldog Movers. We are proud to serve all those moving to or from the Eagles Landing, GA, area.